15336.5266 Jeremiah 9 BIGELOW, son of Adam Chester 8 (Adam Chester 7 ,Cornelius 6 , Paul 5, Cornelius 4, Samuel 3, Samuel 2, John1) and Julia Ann (LONSDALE ) BIGELOW, was born 18 February 1864, Buckingham, Argenteuil co., Que. On 02 March 1887 he married Margaret McCarty (see below). Margaret was born 01 March 1869 Buckingham, Quebec. Jeremiah died 27 December 1945 Kirkland Lake, Ontario, Canada. Margaret died a widow 01 July 1952 also at Kirkland Lake. vital records Quebec; census records. Charles Ernest and wife Eva Irene (BOWERS) BIGELOW 15336.52665 Charles Ernest 10 Bigelow, b 12 (11?) Oct 1893 Buckingham; d 30 Nov 1957 Kirkland Lake, ONCA; m Eva Ciemert (she b 22 May 1893 Buckingham); 3 children: Irene (Bigelow) Roads; Ernest; and Fern. 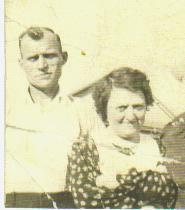 Died: Nov.30, 1957 Kirkland Lake, Ontario.Married EVA Irene Bowers on 25, Aug, 1916 in Cobalt, Ontario. Eva Irene daughter of John (David) Bowers and Ann Clement. >>> Eva's Mother was thought to have married John (or David) Bowers who turned out lied and was already married to someone in the USA. She left him and travelled back to Canada to her parents. Eva's mother kept her two of her children, and adopted out their baby daughter DELLA. Eva'a mother kept Children Eva Irene (Eileen) and DAVID Bowers. NOTE: David Bowers lived on the original BIGELOW homestead of Jeremiah. (Where the log house still is standing) He Married Kathleen Rowe. He had four(4) Children; Bill, Bob, Garfield, and Norma. EVA IRENE (6) BOWERS (ANNE MARGARET (5) WESSELS, NICHOLAS (4th), JOSEPH (3rd), NICHOLAS (2), Joseph (1) ) was born 13 September 1897 in Minneapolis, Minnesota, USA and was named in DICKSON (buried Under This Name) . She died 27 June 1953 in Thunder Bay (Port Arthur), Ontaro, Canada and was buried 30 June 1953 in Riverside Cemetery (Thunder Bay, ON), Canada. EVA married CHARLES ERNEST (10th) BIGELOW "Charlie", son of JEREMIAH (9th) BIGELOW and Margaret McCARTY). Charlie was born 11 October 1893 in Buckingham, Quebec, Canada and obtained a marriage license 25 August 1916 in (to Eva Irene BOWERS) Tudor, Ont. Canada. He died 30 November 1957 in Kirkland Lake, Ontario, Canada and was buried 03 December 1957 in Kirkland Lake, Ontario, Canada. 15336.52665.1 Ernest David Vincent BIGELOW was born 09 March (May?) 1917 North Cobalt, Ontaro. He died 07 Sept 1984 in Thunder Bay (Port Arthur), Ontario, Canada. 15336.52665.2 Ann Margaret Irene BIGELOW, b 24 July 1918 in Lorraine Valley, Ontario, Canada; and obtained a marriage license 3 Marriages in M1(Bruce Barrie) M2(to Clarence Rhodes) M3(? Dickson); d 24 Oct 2005 Thunder Bay (see below). (IRENE) married (1) Bruce BARRIE (1st Husband) Stewart Bruce Barrie, born 03 Aug 1917, Watrous, Sask. (not Winnipeg as indicated on marriage license), died 26 July of 1991 in Las Vegas, Nevada. (see below). (IRENE) also lived common-in-law with (3) ? DICKSON. 15336.52665.3 Erik, Grant BIGELOW was born about 1923 in Hospital For Sick Children (Toronto, ON). He was buried in Lorraine Valley, Ontario, Canada (Austin Farm). 15336.52665.4 John Arnold BIGELOW was born about 1925. He died in Died At Birth (Lorraine Valley, ON) and was buried in Austin Farm, Lorraine Valley, ON). 15336.52665.5 Eva FERN BIGELOW was born 17 September 1931 in Haileybury, Ontario, Canada and obtained a marriage license 05 January 1954 in Terrace Bay, Ontario, Canada. She was living Mississauga, Ontario, Canada (2014). Eva married David (GOLD) LANE, son of Harry (GALBINSKI) GOLD and Pearl GREENSPOON. David was born 12 February 1920 in Collingwood, Ontario, Canada. He died 08 March 1998 in Mississauga, Ontario, Canada and was cremated and buried 11 March 1998 in Mississauga. +365 Tracy Dale (12th) (GOLD) LANE. Garfield Bowers now owns the homestead (farm) and lives with his wife Buella and son David Jr.
(who is also doing research with the Bigelows in the area) They adopted 4 children: Karen, Susan, Jim, John, and foster parents to many many children. see Bowers family for more info on Eva's family. The Lamont twins were Lemial and Josiah...other than that everything is fine. 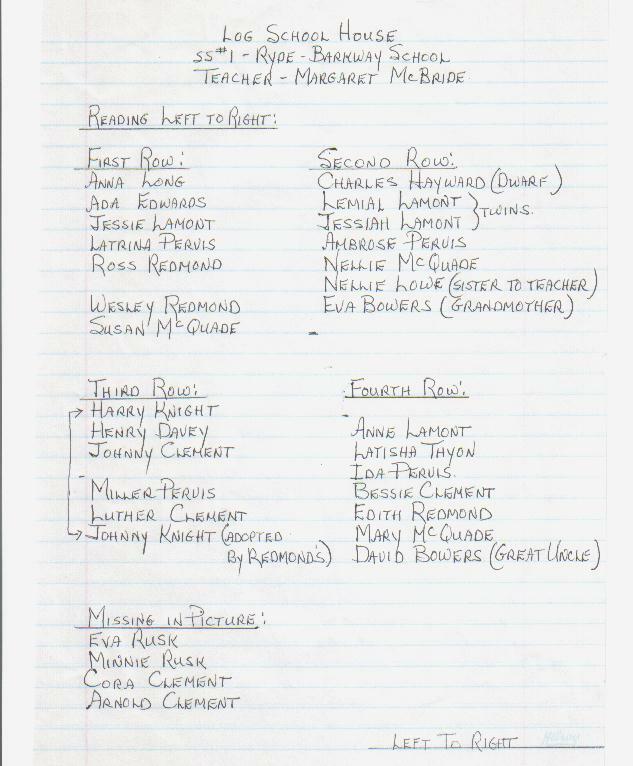 I could send you each of these families if you would like but I have known all these people for 58 years and so knew right away when I read them who they were..the only one I am stumped on is Miller Plewis..There is a Millie...??? Hi there I am searching for the lost side of our family. B: 12-Oct-1893 Buckingham, Papineau County, Quebec D: 30-Nov-1957 Kirkland Lake, Ontari, Canada. (Great Great Grand-Daughter Of Adam Chester BIGELOW and Julia Ann Lonsdale. barry2000caca@yahoo.com. Also my deepest sympathy to all families and victims of the attack on the U.S.A.
15336.52667/9 George Henry 10 Bigelow, b 25 Jan 1898 Hinks Twp, Gatineau, Que; d 20 Feb 1965 Toronto, York co, Ont; m _ Feb 1920 Lillian Ruttan; Lillian was born 04 Nov 1901 in Muskoka, Ont, the daughter of Wallace and Louisa (Myers) Ruttan. She died 20 Dec 1968 In Toronto. Hi Rod my name is Michael Lintlop I am 52, and Freeman Bigelow was my uncle. His wife Iris was my dad’s only sister. Then it was Fred - Allen - Linda - Gail . My aunt and uncle were the nicest people you could meet , you take care. family site. I have recently recommitted to completing current sections of our tree. 1984, (Port Arthur) Thunder Bay, Ont. 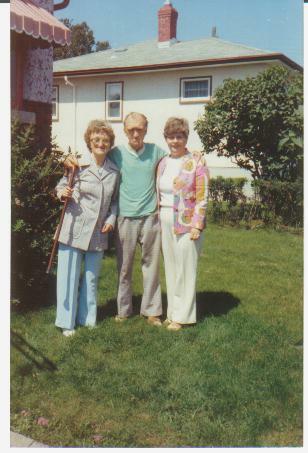 Ann Margaret Irene Bigelow b. July 24, 1918, Lorraine Valley, Ont, d 24 Oct 2005 (see below). children:  Stewart Grant Barrie b. Aug. 3, 1939, Kirkland Lake, Ont. Gail Violet Barrie  b. Nov. 24, 1940, Kirkland Lake, Ont. Baysville, Ont. d. Aug. 1967, (Port Arthur) Thunder Bay, Ont. children:  Alma Joyce Rhodes, b. Jan 11, 1946, Port Arthur, Ont. IRENE  never lived with a DICKSON. Eva Fern Bigelow, b. Sept 17, 1931, Haileybury, Ont. Eva Irene (Bowers) Bigelow, lived with a James Dickson for a few years. 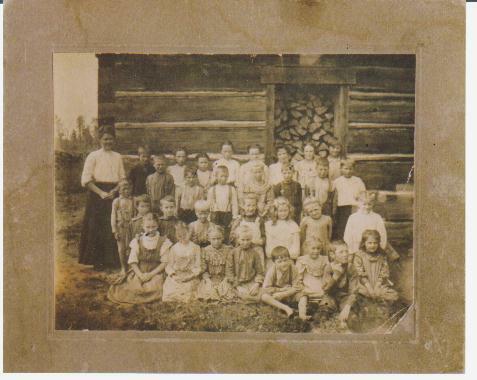 Also, the picture of the school which said it was in Bigelow, Ont. is wrong. she passed on to you. This is another update Rod. My mother Irene (Ann Margaret) Bigelow died on Oct 24, 2005.
license), died in July of 1991 in Las Vegas, Nevada. 15336.52662.4 Violet 11 Bigelow, b ____ ; d 23 Mar 2003 new liskeard ont; m Lloyd Farragher (b ____ ; d 9 Oct 2001 Sudbury. (c) Copyright 2014 Bigelow Society, Inc. All rights reserved.